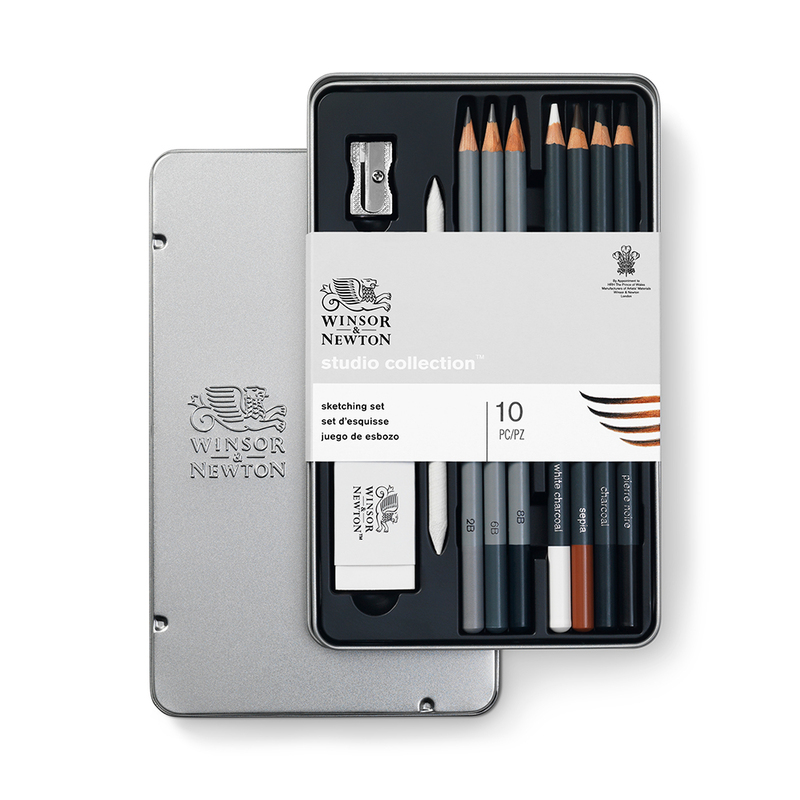 This Winsor & Newton Studio Collection 10 Piece Sketching Set provides artists with a collection of sketching tools and accessories to help create the most expressive of sketches. 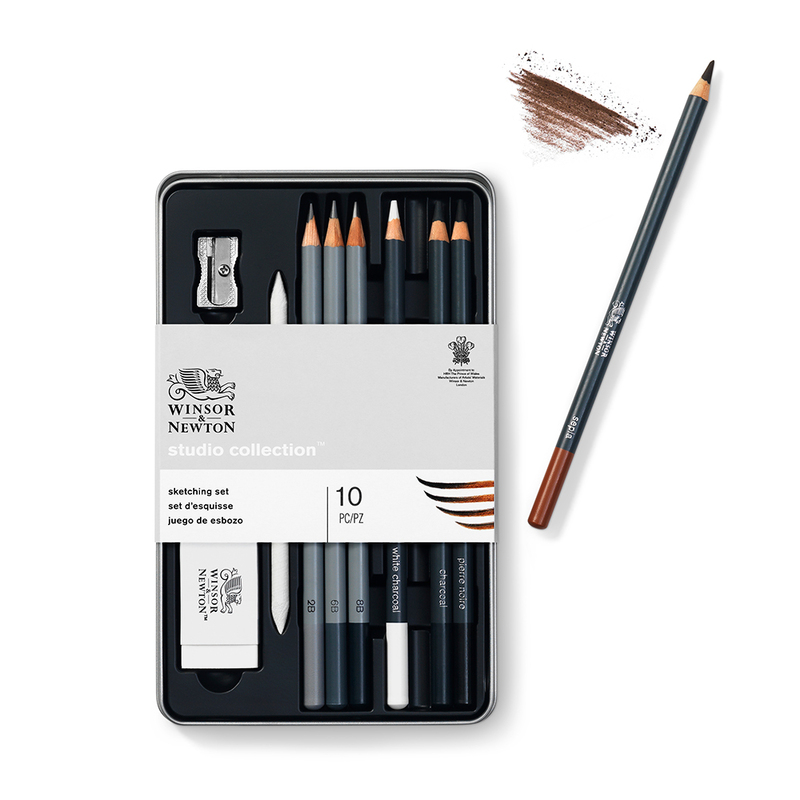 This beautifully presented set features a selection of traditional drawing and sketching materials. They contain high-quality essential tools including pencils in classic colours and a range of graphite pencils in various hardnesses. 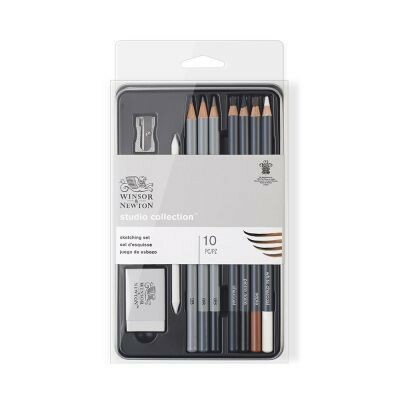 Choose from traditional graphite, charcoal and sepia-toned pencils to create striking and evocative drawings and sketches. 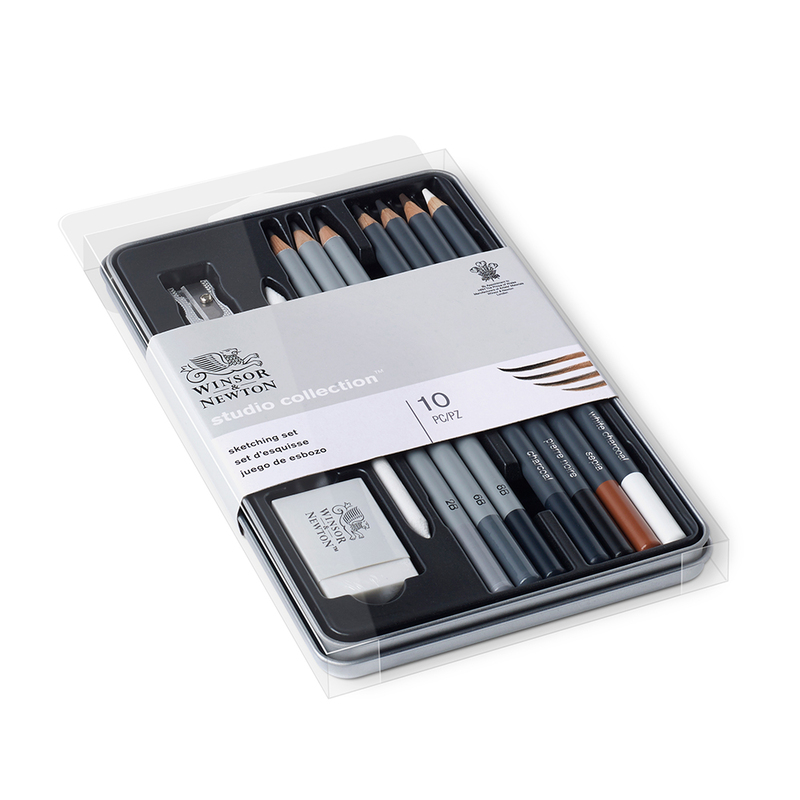 Versatile and responsive, they are the ideal medium for creating expressive sketches whether you are in the studio working on detailed artwork or on the go capturing quick gestural sketches. This set contains one of each of the following: 2B, 6B, 8B Graphite Pencils, White Charcoal Pencil, Sepia Pencil, Pierre Noire Pencil, Charcoal Pencil, Metal Sharpener, White Vinyl Eraser, Blending Stump.